I can see the pub from here! Click on our Events page to see what we're up to. We're meant to be proper authors. Look serious. People seem to be enjoying our latest comedy book about Satan. Where can I buy the books? Home › 2018 › What price research? Heide and I are currently working on third and fourth books in the Oddjobs series. 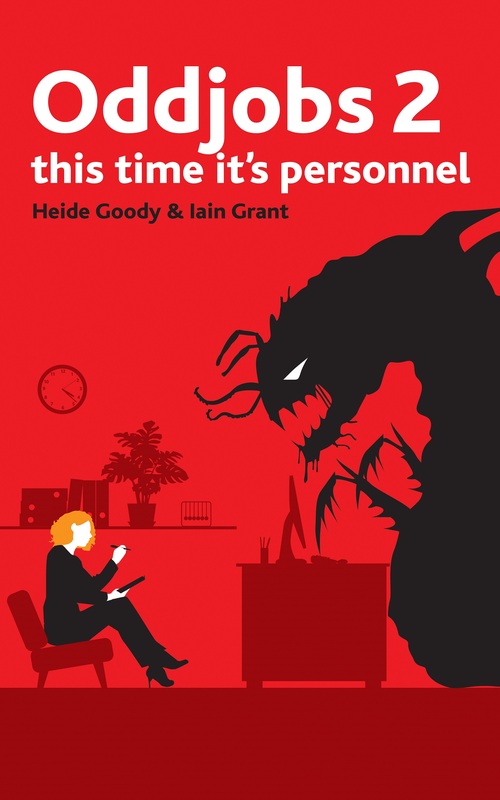 If you’ve not read them (and you can get the first one HERE) then we should explain that they’re comedy horror novels about the government employees who have to manage upcoming apocalypse and were described by a recent reviewer as “‘Men in Black’ meets ‘Hell raiser’ meets ah, something that made you grin and laugh a whole bunch”. All the books are set in Birmingham (UK, not Alabama) and make use of real but unlikely facts about Britain’s best city. Oddjobs 3 and 4 heavily feature the real and imagined adventures of the Lunar Society, an eighteenth century club of industrialists and inventors, whose members included Erasmus Darwin (inventor of the jet engine and grandfather of the famous Charles Darwin), the steam engine genius James Watt, Joseph Priestley (the man who discovered oxygen) and Benjamin Franklin (yes, that Benjamin Franklin). To write these books, we needed to do some research. b) How much of that can count as a legitimate business expense (and therefore be tax-deductible)? The internet will get you so far but some of the best research is still (shockingly!) to be found in books. 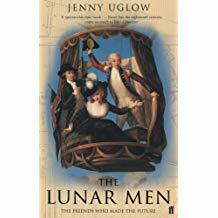 Jenny Uglow’s history of the Lunar Society has been utterly invaluable. It’s given us a very clear timeline of the key members’ lives and also an insight into their lives and personalities which I’ve just not been able to find elsewhere. Item 2 – A drive to Soho House – 6.3 miles @ 45p per mile. 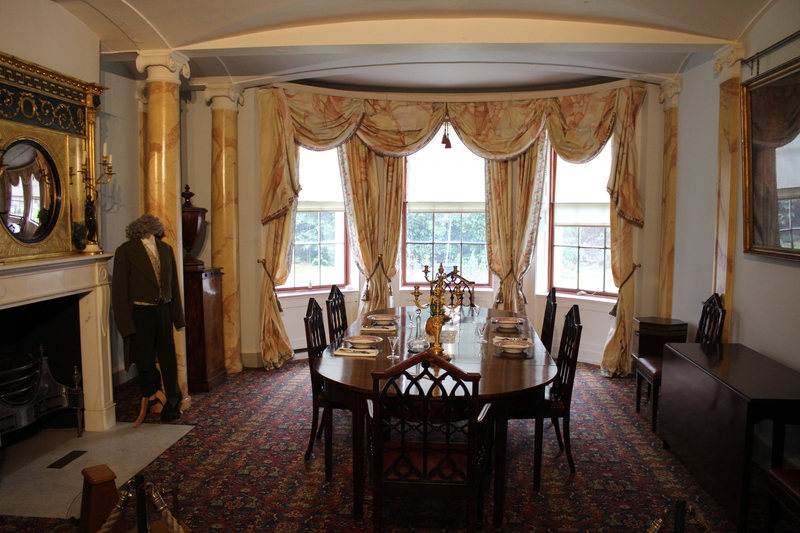 It’s a twenty minute drive from my house to the Georgian house that was home to Matthew Boulton, lynchpin of the Lunar Society and the first man in the world to build what we would recognise as a factory. As of writing, HMRC will allow tax relief of 45 pence per mile for business travel. A ctually, that’s what you’d usually pay but on the morning I’d turned up, all the tour guides were off sick or something so the woman at the desk said I could have a poke around for free. I did. I was pretty much the only person in the entire building. I love Soho House. 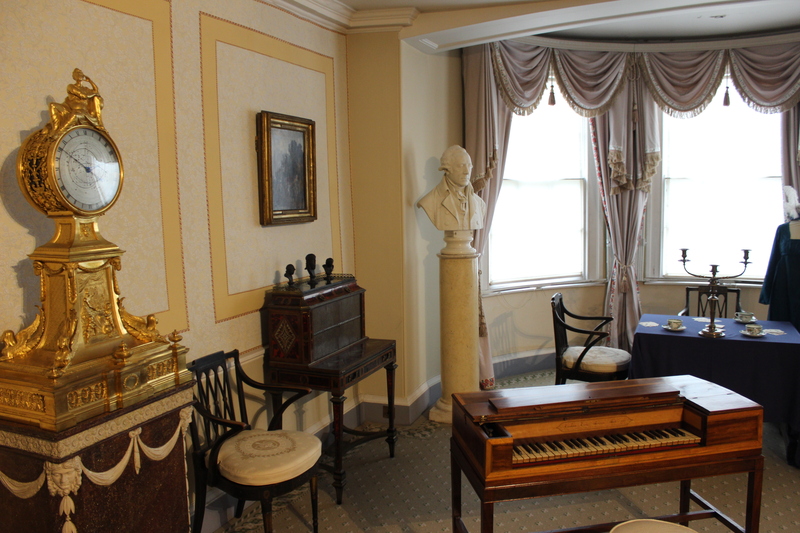 It’s mostly a recreation as it fell into serious disrepair in the 20th century and parts of it were demolished but what remains is a treasure trove of ormolu, blue john (more on that below) and inventions. Boulton’s sidereal clock became a plot element in Oddjobs 3. Actually, you can’t drive all the way there. The road that once led to it is now a gated road only open to construction traffic. Are you getting the creepy abandoned house in the woods vibe? Good. 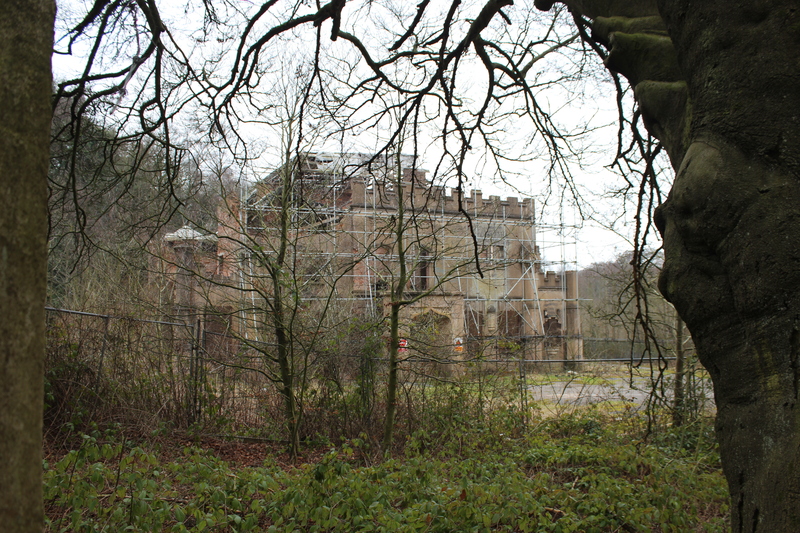 Free, unless you count the cost of the creeping dread that comes from trespassing onto the grounds of an abandoned mental hospital which is now in the middle of encroaching woodland and considerable distance from any signs of civilisation. This was less educational but super-cool. Great Bar Hall has been falling into ruins for some decades. 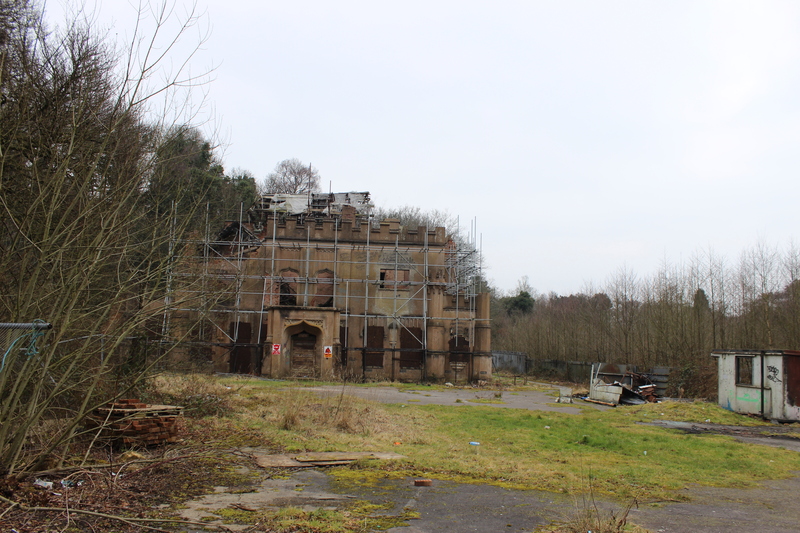 Like Soho House it had been put to various uses since its heyday as home to one of Birmingham’s leading industrials. 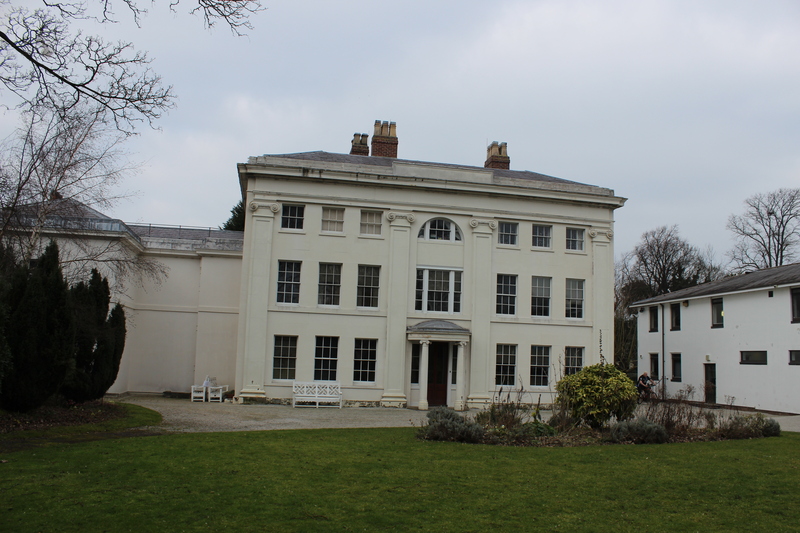 Great Barr was the home of Samuel Galton, noted arms manufacturer and grandfather to Francis Galton (famously the inventor of eugenics and the phrase “nature versus nurture”). This was a day trip and, since it’s the summer holidays here, there were certain members of my family who needed/wanted to come. Let’s call them my camera crew and research assistant. Look, it was a long drive and the toilets at the Blue John Cavern weren’t open because the current hot weather has totally dried up the stream that feeds their sanitation system. I didn’t want to be underground and in need of the loo. 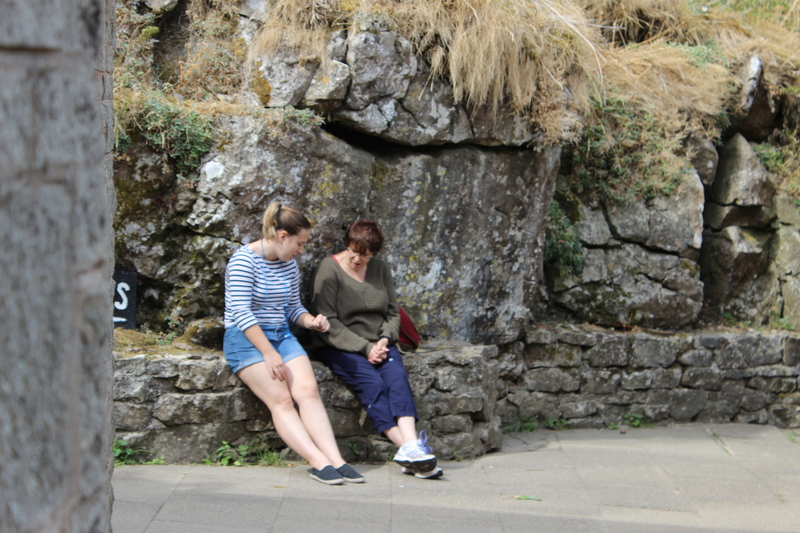 The author’s daughter and wife – Ahem, I mean the research assistant and the camera crew. This was a one hour tour of ‘Britain’s deepest unassisted cave system’ i.e. 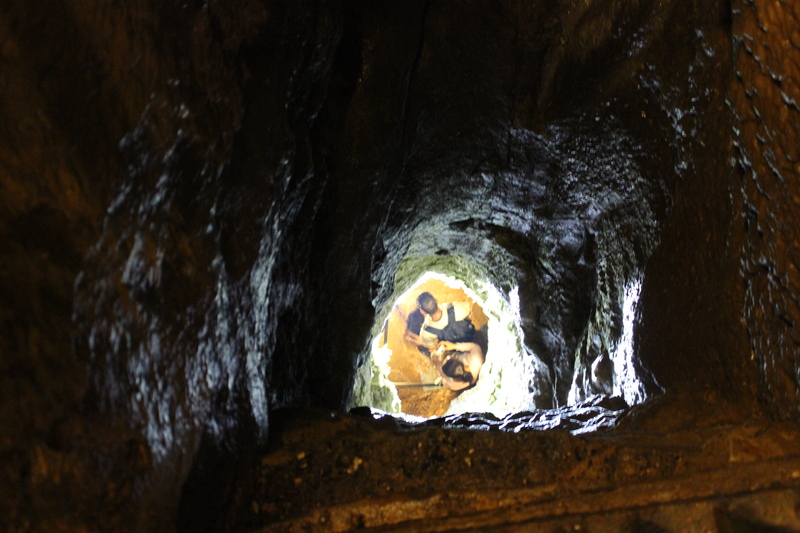 the deepest caves the public are invited into that doesn’t have a lift to get you to the bottom. We were shown round by guide and part-time miner, Ben. 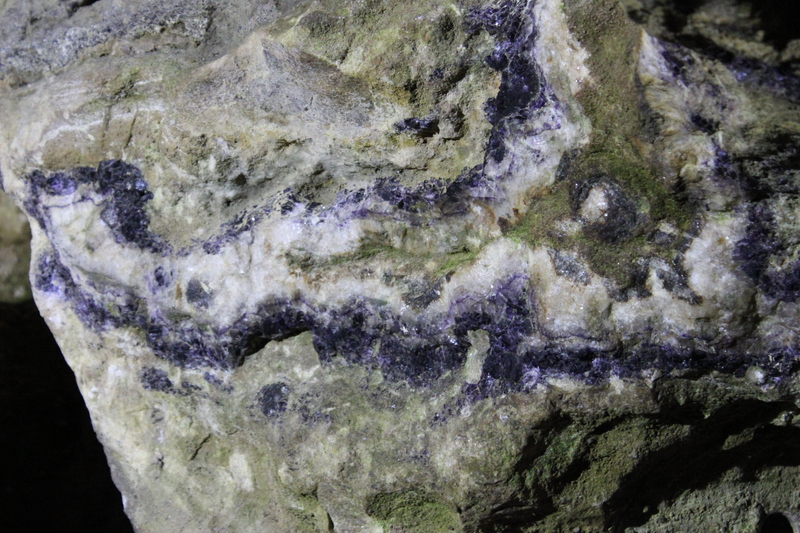 The purple-blue colour of blue john comes from the oil made from the soft tissues of the prehistoric crinoids whose fossilised remains could be seen in the cave walls. Crinoids are wonderfully Lovecraftian-looking creatures and will definitely be making an appearance in Oddjobs 4. 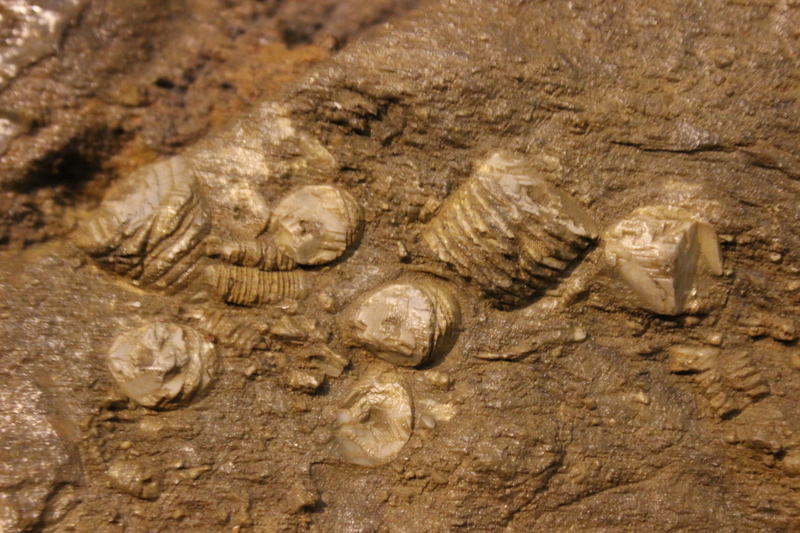 Crinoid fossils in the Blue John Cavern. Some lost souls at the bottom of the Blue John Cavern. 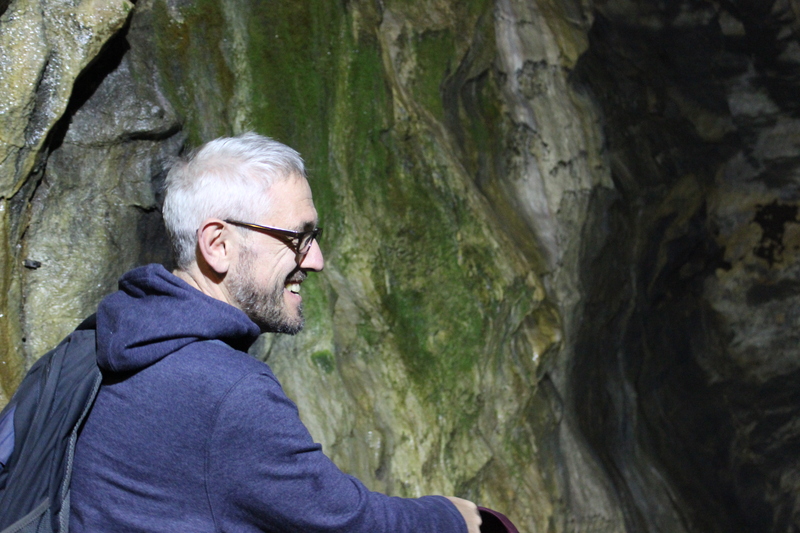 The author, staring into the abyss and grinning for no good reason. It was also a great insight into how brave/mad you’d have to be to go wandering around down there before the advent of electric lights, stairs and handrails. 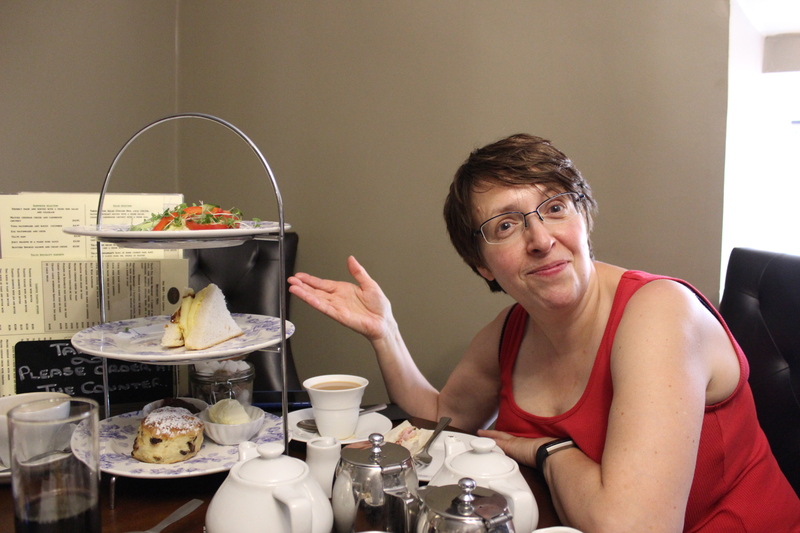 My camera crew wanted afternoon tea (the whole tiered assortment of sandwiches and sweet things). My research assistant had to be bribed to come out with the promise of a hot chocolate with marshmallows and cream. I didn’t argue. So… after all that expenditure, what have we gained? Richer characters? More believable historical fiction? A plot that now features time-travel clock machines, abandoned mental hospitals and prehistoric monsters? Absolutely. The bigger question is whether I can get all of this past my accountant as a business expense. Oddjobs 1 & 2 are available now. Oddjobs 3 & 4 will be published 2019/2020.